Jakarta – Along the first quarter of 2015, Toyota Indonesia and its group exported 44,000 units Toyota Brand Completely Built Up (CBU) vehicles or a 30.3% increase compared to the same period last year of 33,800 units. This achievement is supported by a 200% increase of Vios export volume from 3,000 units to 10,000 units. 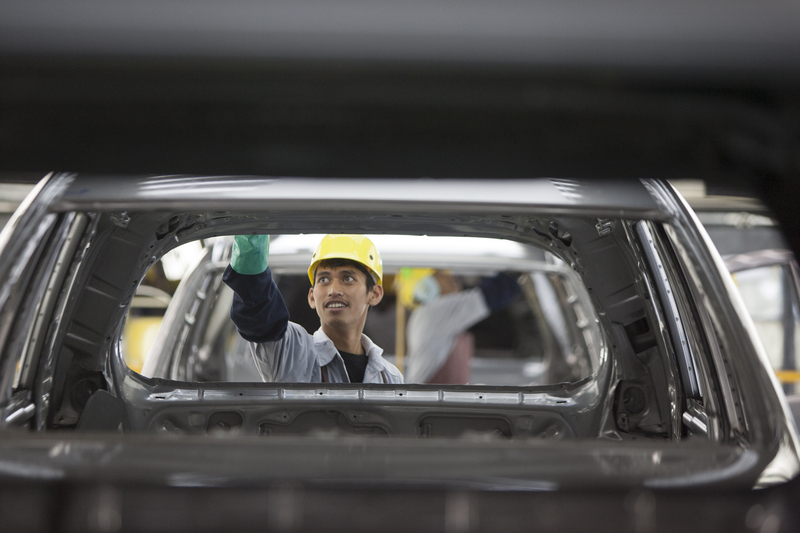 In the last few years, Toyota Indonesia continues growing export capabilities. In addition to increasing production capacity, TMMIN had also added more vehicle models to be exported. In 2014, Toyota Indonesia adds export segment to include Vios and Yaris produce in TMMIN Karawang Plant, West Java. Toyota Indonesia is now exporting 8 models of Toyota Brand CBU vehicles, they are Kijang Innova, Fortuner, Vios, Yaris, Rush, Avanza, Town Ace/Lite, and Agya. Toyota Fortuner continues its reign as the biggest export contribution with 31.11% share for a total of 13,763 units, a 14.7% increase compared to the same period last year. Vios export follows with a 23.16% export contribution or a total of 10,247 and Kijang Innova with a 8.91% contribution or a total of 3,934 units, more than 200% and 2.6% increase respectively compared to the first quarter of 2014. The rest of the export came from Avanza, Rush, Town Ace/Lite, Agya, and Yaris with a total of 16,124 units. Export activities support TMMIN during the current automotive market situation in Indonesia, especially because nearly half of TMMIN’s production is geared toward export market. Increase of the export performance leads to a more stable TMMIN production activities. Completely Knock Down (CKD) vehicle export of Toyota Indonesia in the first quarter of 2015 reached 9,740 units. Meanwhile engines export reached 11,118 units which consist of 9,066 units of gasoline powered engine and 2,062 units of ethanol powered engines. In addition, there are 15.9 millions of vehicle components being shipped to export market. TMMIN also exports a total 193,267 tons of production tools in the form of die (tools for stamping).